Do you have a baby experiencing colic? Colic can be a challenge for a usually already- exhausted parent! 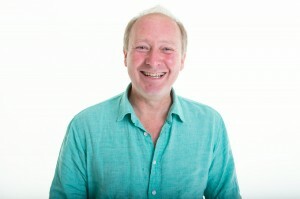 Leaving you feel helpless and on edge, here our Craniosacral Therapist (CST) Andrew Cook explains how he treats this problem in his practice. “Colic is by definition “unconsolable crying for more than three hours a day”. In reality, any length of unconsolable crying is not right… Not only is the baby distressed, but after a few days or weeks the parents often also can end up suffering severe stress and exhaustion, making the problem worse. It is sometimes possible to see where the baby is in pain – just by observing its movements or responses to the position it is placed in. Pain round the head or ears usually doesn’t show this way initially because they do not have full control of arm movements, but if crying increases when a hat is put on (or the baby head-bangs), then most likely they have a severe headache. Many colicky babies have a compressed or strained neck, and so will be more distressed when placed on their back or when in a carry cot. Some babies are clearly in pain from abdominal wind or spasm, and others have a more existential distress as a result of events around the birth. For enquiries and bookings regarding treatment for colic or about CST treatments in the clinic please contact our reception team on 01603 665173.